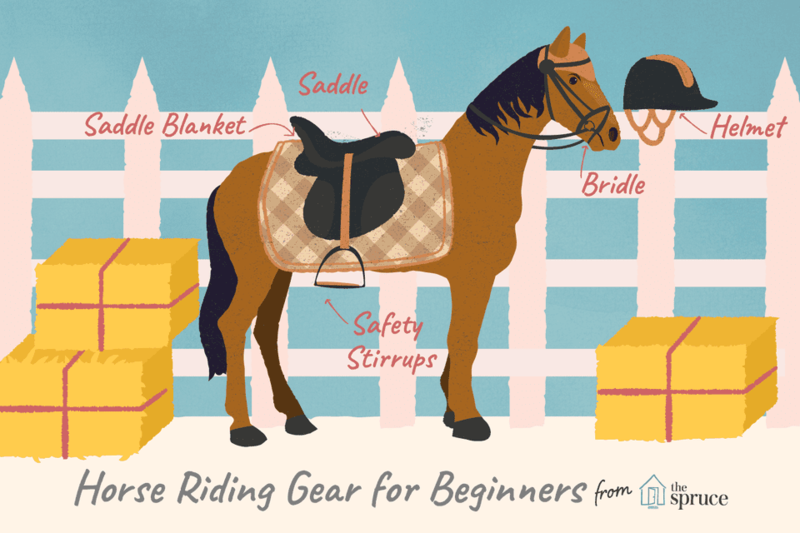 Once you get a horse, you'll need a few basic pieces of equipment so you can care for it properly, and of course, enjoy the activity that you bought it for whether that be riding or driving. Many of the things you may already own if you have a country property. The pitchforks, wheelbarrows, and shovels used for cleaning up after horses are the same as you what you would buy in any hardware store for gardening or other yard work. There are some specialty items you'll need to pick up at your local tack shops, such as special brushes and the tack for riding and driving. Some of the items, like feed and water troughs, can be made of re-purposed buckets and barrels. Just be sure there were no toxic substances stored in them, that they're well cleaned out and have no sharp edges. Although bits, bridles, and saddles might be something you're excited to acquire before you bring your horse home, it might be best to wait. That way, you'll be able to custom fit your horse, keeping it comfortable and happy. Other items like brushes, buckets and lead ropes can be purchased well ahead of time, so they’re waiting for your horse when it arrives. You should also have several weeks supply of hay and any supplements or grain you should feed your horse. Your fences and stable should be ready. You’ll need some type of bedding if your horse will be stabled at all, and of course, you’ll need a good supply of fresh water. Here are the items you will need if you plan to care for and use your horse for riding and driving. Water heater or heated buckets if you live in an area that experiences freezing temperatures. Halter-leather or breakaway halters are safest. You’ll probably decide to ride either English or western, and this will help you decide what type of tack to buy. To help with saddle fit, you should probably buy a saddle after you’ve brought your horse home, or had a chance to try any saddle you’re thinking of buying on the horse. There are several types of harness, both light, and heavy horse. You’ll need to learn which is the right type for the driving you wish to do. Emergency information and gear should be posted or stored in a place that is easy to find if there is an emergency.